What is the character of the opposition to the Gadhafi regime, which reportedly now controls the eastern city of Benghazi? Libya is not like Egypt. Its leader, Moammar al-Gadhafi, has not been an imperialist puppet like Hosni Mubarak. For many years, Gadhafi was allied to countries and movements fighting imperialism. On taking power in 1969 through a military coup, he nationalized Libya’s oil and used much of that money to develop the Libyan economy. Conditions of life improved dramatically for the people. For that, the imperialists were determined to grind Libya down. The U.S. actually launched air strikes on Tripoli and Benghazi in 1986 that killed 60 people, including Gadhafi’s infant daughter – which is rarely mentioned by the corporate media. 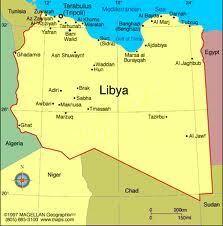 Devastating sanctions were imposed by both the U.S. and the U.N. to wreck the Libyan economy. After the U.S. invaded Iraq in 2003 and leveled much of Baghdad with a bombing campaign that the Pentagon exultantly called “shock and awe,” Gadhafi tried to ward off further threatened aggression on Libya by making big political and economic concessions to the imperialists. He opened the economy to foreign banks and corporations; he agreed to IMF demands for “structural adjustment,” privatizing many state-owned enterprises and cutting state subsidies on necessities like food and fuel. There can be no doubt that the struggle sweeping the Arab world for political freedom and economic justice has also struck a chord in Libya. There can be no doubt that discontent with the Gadhafi regime is motivating a significant section of the population. However, it is important for progressives to know that many of the people being promoted in the West as leaders of the opposition are long-time agents of imperialism. The BBC on Feb. 22 showed footage of crowds in Benghazi pulling down the green flag of the republic and replacing it with the flag of the overthrown monarch King Idris – who had been a puppet of U.S. and British imperialism. The Western media are basing a great deal of their reporting on supposed facts provided by the exile group National Front for the Salvation of Libya, which was trained and financed by the U.S. CIA. Google the front’s name plus CIA and you will find hundreds of references. The Wall Street Journal in a Feb. 23 editorial wrote that “The U.S. and Europe should help Libyans overthrow the Gadhafi regime.” There is no talk in the board rooms or the corridors of Washington about intervening to help the people of Kuwait or Saudi Arabia or Bahrain overthrow their dictatorial rulers. Even with all the lip service being paid to the mass struggles rocking the region right now, that would be unthinkable. As for Egypt and Tunisia, the imperialists are pulling every string they can to get the masses off the streets. There was no talk of U.S. intervention to help the Palestinian people of Gaza when thousands died from being blockaded, bombed and invaded by Israel. Just the opposite. The U.S. intervened to prevent condemnation of the Zionist settler state. Imperialism’s interest in Libya is not hard to find. Bloomberg.com wrote on Feb. 22 that while Libya is Africa’s third-largest producer of oil, it has the continent’s largest proven reserves – 44.3 billion barrels. It is a country with a relatively small population but the potential to produce huge profits for the giant oil companies. That’s how the super-rich look at it, and that’s what underlies their professed concern for the people’s democratic rights in Libya. Getting concessions out of Gadhafi is not enough for the imperialist oil barons. They want a government that they can own outright, lock, stock and barrel. They have never forgiven Gadhafi for overthrowing the monarchy and nationalizing the oil. Fidel Castro of Cuba in his column “Reflections” takes note of imperialism’s hunger for oil and warns that the U.S. is laying the basis for military intervention in Libya. In the U.S., some forces are trying to mobilize a street-level campaign promoting such U.S. intervention. We should oppose this outright and remind any well-intentioned people of the millions killed and displaced by U.S. intervention in Iraq and Afghanistan.